Today we’ve released a new version of our popular Theme Creator tool, which allows you to build professional-looking themes for Xperia™ devices. There’s now full support for Android Nougat including new preview functionality and resources.We have extended the live wallpaper editor with new features and improvements to make it easier to make more advanced live wallpapers for your theme. 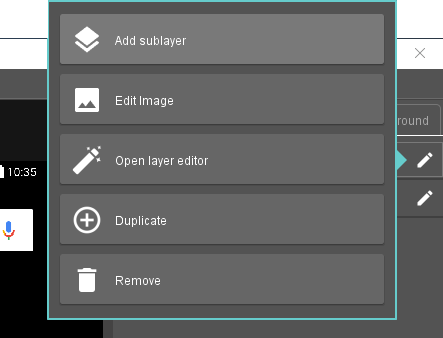 You can now add sublayers to a layer. A layer will share all its effects with its sublayers. You can also add a layer without an image, we call it a ‘group’. A group is useful if you have multiple layers that should behave the same. Add effects to the group and add the layers as sublayers to the group to share the effects. In this layer hierarchy the sun layer has a rotation effect, which makes the earth and moon rotate around it. The earth layer also has a rotation effect which makes the moon rotate around the earth. There’s now a new editor for source effects, which allows you to create more advanced animations. Frames in the advanced animation editor can have different durations and you can add transitions between frames. Animations, both basic and advanced, now also support gif files and image sequences so that you easily can add movement to your wallpaper. You can play sounds from the wallpaper. A sound can be started and stopped like a modifier. For example, you can play a sound when clicking on an object, like the space ship. 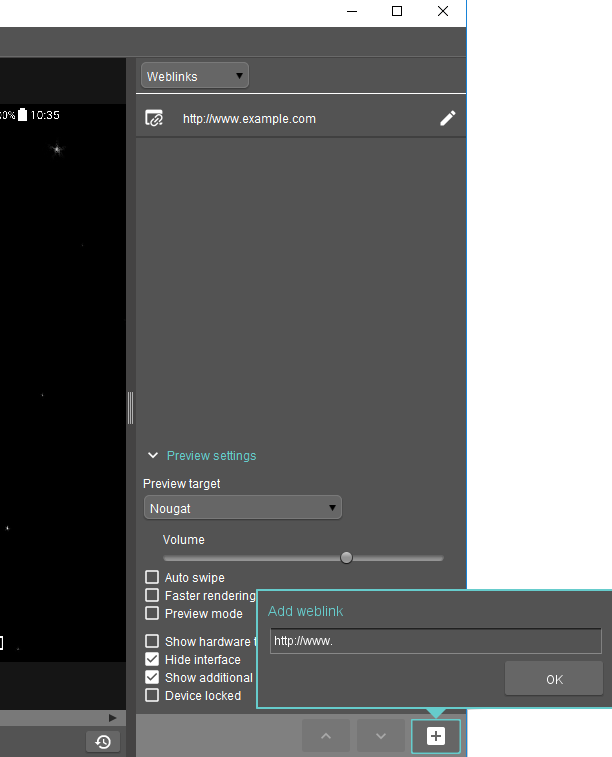 See below how to add a weblink which can be opened from the wallpaper editor. A weblink can be started like a modifier. We advise you to use this feature responsibly since it can be frustrating if the web browser opens every time the device unlocks or if the user clicks on an object. We recommend a two-step activation meaning that the user has to click on one object that reveals another object. When clicking the second object the weblink is opened.